The Angus Journal traces its roots to 1919. 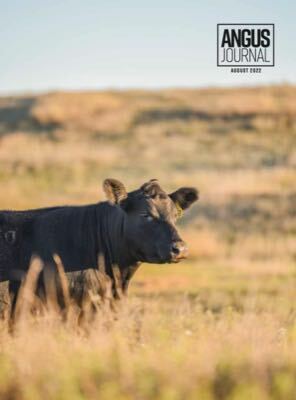 The American Angus Association purchased the magazine in 1979, and the Angus Journal continues to be the flagship publication for the organization and its members. The Angus Journal is also the industry hub for Angus cattle sale listings and offerings. Breeders from across the country choose to insert their sale books into the magazine or purchase advertising space. Receive your Angus Journal 10 days sooner. A print subscription to the Angus Journal also gives you complementary access to the digital edition, which is available before the magazine hits your mailbox and includes digital add-ons such as videos and extended photo galleries.